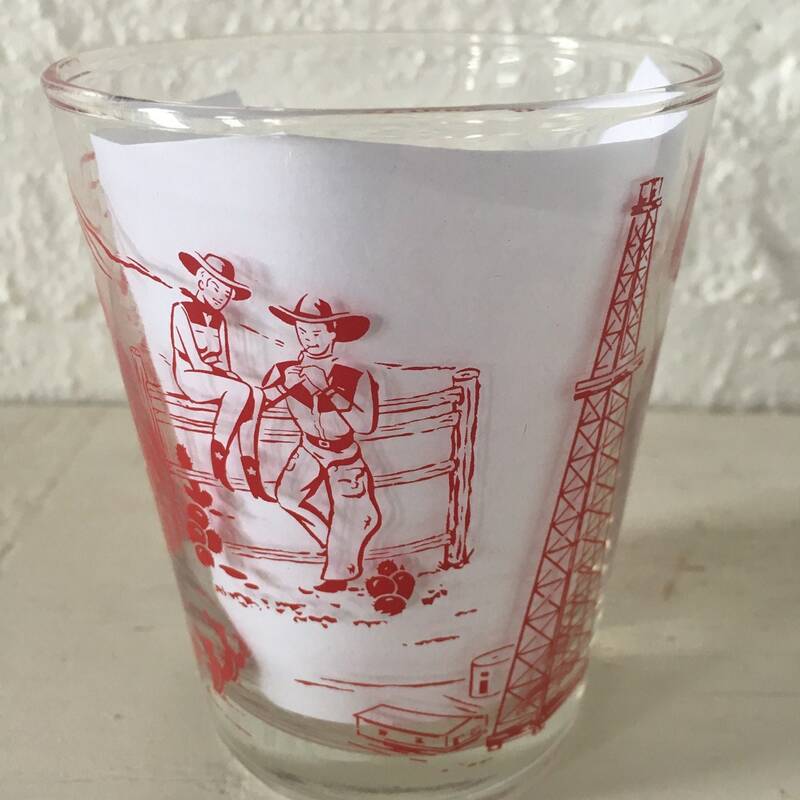 This vintage drink glass has fantastic old cowboy graphics on it and says "A Texas Jigger". 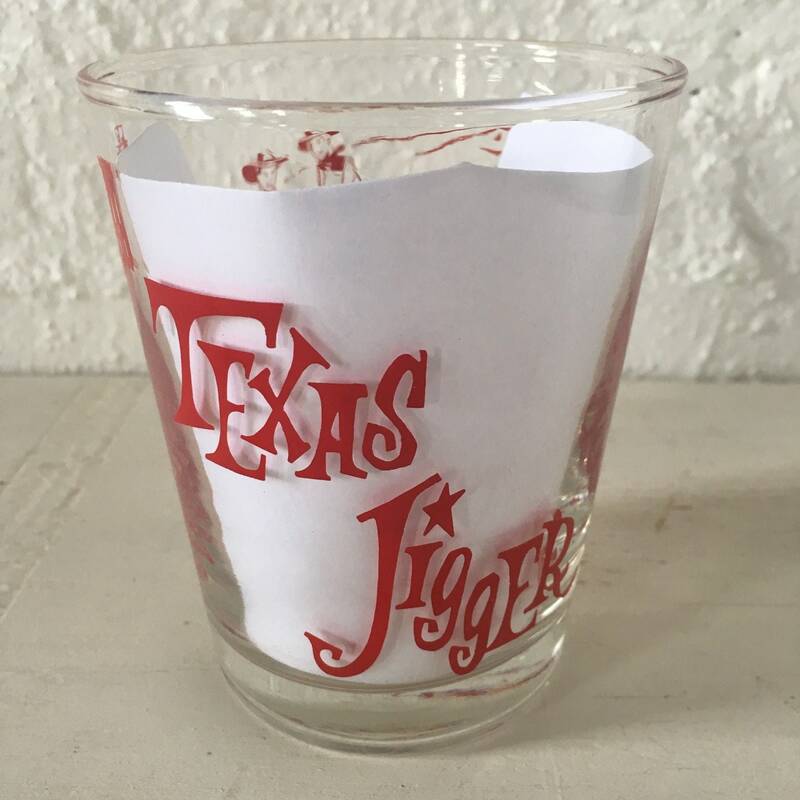 Everything is bigger in Texas, including their shot glasses! 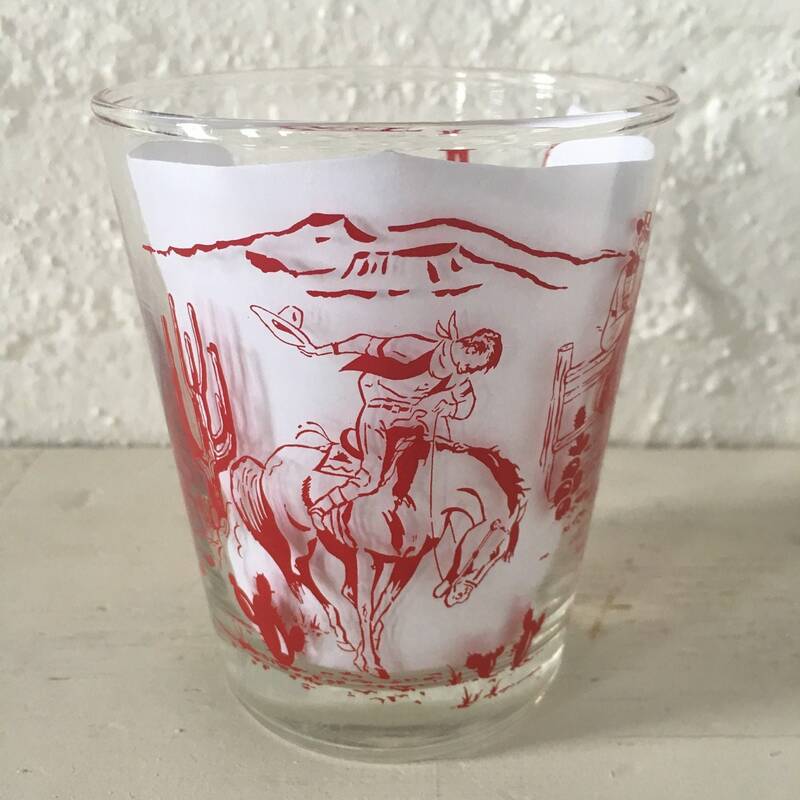 I've seen a few variations of this glass here on Etsy, but have not found one with these exact graphics. I'm feeling this may date back to the 1950's judging by the illustration style and font style. 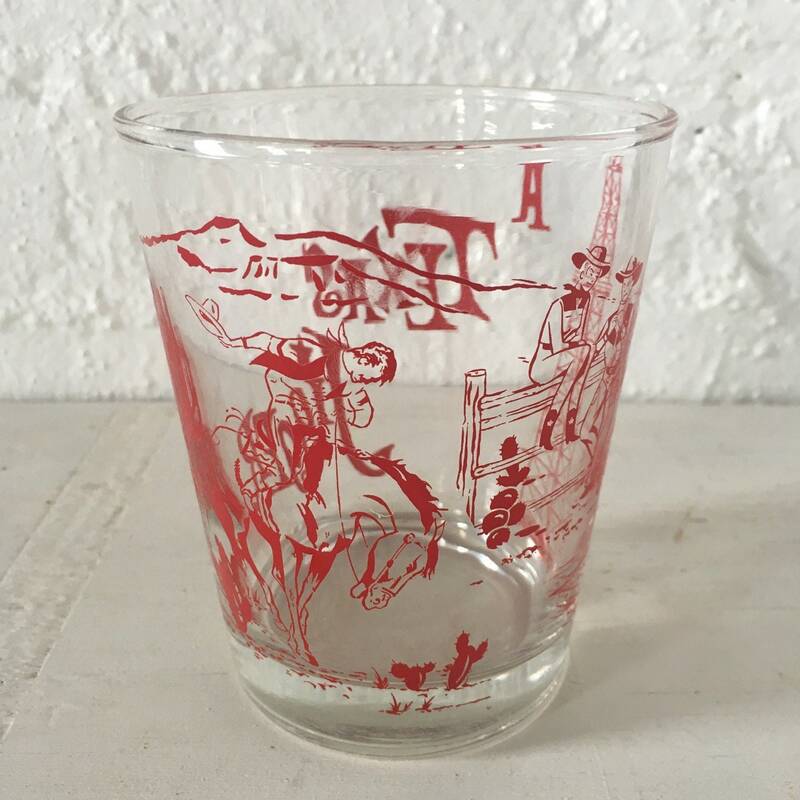 This glass is in great shape, with no nicks, and the graphics are in very good condition. It comes from my personal collection. It is a super cool glass, and it is time for me to let someone else enjoy it! 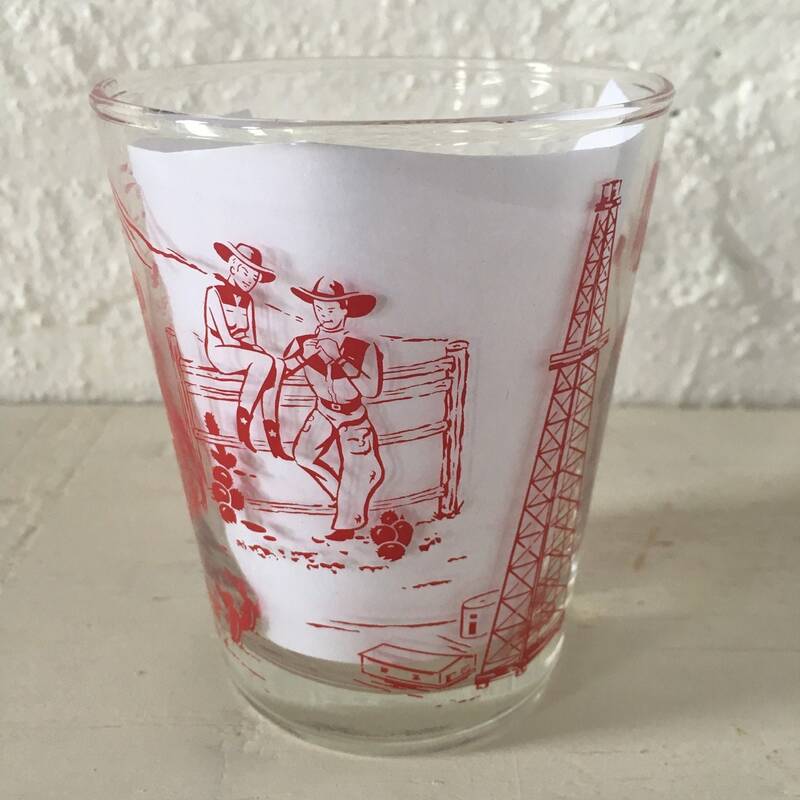 The glass is 4" tall, and 3.5" at it's widest point.